CARLSBAD — City council members shifted in their seats. They spoke in vague terms, and never mentioned a specific dollar figure. They made it known that they were uncomfortable with the duty before them. “When we think of difficult conversations to have, I would rather be sitting here approving an unbelievable number of housing,” said Mayor Matt Hall. At Tuesday night’s meeting, city council was not facing a big decision about development, the local power plant, capital improvement projects, or other hot button issues. They were tasked with deciding whether or not to give themselves a pay raise. Council had the option to directing staff to draft an ordinance that would increase their salaries, sending the matter to a citizen committee for advice, or opting out of a pay raise completely. City council members in Carlsbad earn a $16,688 annual salary, and the mayor earns $17,868 annually. Council members and the mayor are given an additional $75 per community development commission meeting and $100 per water board meeting. 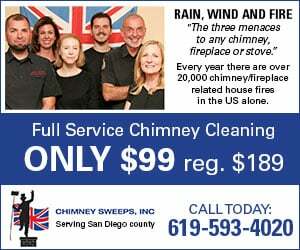 They are also given a yearly car allowance, which totals $5,400 for the mayor and $4,200 for council members, and an annual $540 cell phone allowance. 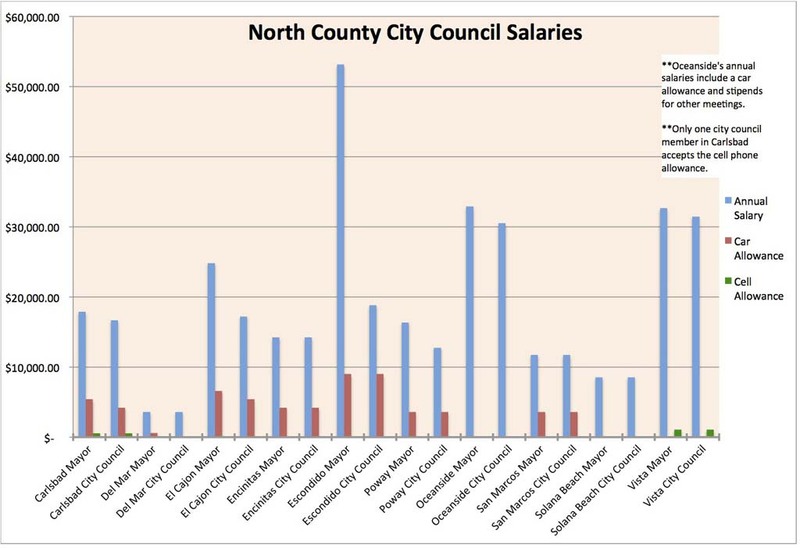 Salaries for other mayors and city council members in North County range from the $53,148.72 for the mayor of Escondido to $3,600 for the mayor and city council members of Del Mar. Carlsbad City Council is permitted to raise their pay by 5 percent each year. Council salaries were last altered in 2009, when Council voted to decrease their salaries by 5 percent. So city council members had the opportunity to increase their pay by up to 5 percent for each year from 2009 to 2014 for a maximum 25 percent increase. If council voted for the increase, the bump would take effect after the upcoming election this November. Council members tossed and turned between the notion that their current salaries do not fully compensate them for the work they do and the belief that serving on city council should be a service and not a job. He emphasized that being on city council has cost him money because it takes away time that he is able to see patients for his dental practice. Hall stated that though a city council position is technically part time, he knows that most members work more than 20 hours per week for the city and in some cases more than 40 hours. He said that current salaries do not measure up to the full scale of what they do, but added that he was comfortable with the pay level as is anyways. Councilmember Keith Blackburn stressed the idea that the city aligns the pay range of its employees in the middle of the pay scale for staff members in other cities in the county. He argued that city council’s salary should be held to the same standard and kept where it is in the middle of the pay range for city council members throughout the county. Council members Lorraine Wood and Michael Schumacher sided with sending the matter to a citizens committee. But Hall, Packard, and Blackburn eventually formed a majority agreement to not adjust the council’s salary at this time.